If you’re new to vaping or looking to explore and discover the ideal vaping experience for yourself, familiarizing yourself with vaporizers is a crucial first step. The overall selection of vaporizers available may look vast, but for the most part, they all fall under a few particular models. E-cigs are fine for casual use, but most folks that want to get seriously into vaping end up looking to more sophisticated devices – this often means a vape mod. Before you buy one, though, it helps to know what you’re looking at, how it works and what makes it tick; this way, you’ll be able to pick the best mod for you and take good care of it so it continues to deliver. • The battery, which stores energy and then supplies the power to the heating mechanism in order to vaporize the e-liquid. What makes these different from those found in vape pens and e-cigs is that the parts are assembled in a way that makes them more modular – a pen is a complete package and you generally won’t be fiddling much with the details, but vape mods let you do just that to refine your vaping experience for better taste, stronger throat hits and more. Batteries are a familiar part of our daily lives, but it’s good to know the role a battery plays in vaping. Whether rechargeable or replaceable, the battery is what allows the atomizer’s coil to heat up and produce vapor by supplying a current through the coil. The jump to a more potent battery is what often drives switching to a box mod. Batteries in e-cigs often don’t provide enough power for a good hit, or they don’t hold a charge long enough for extensive use. Box mods boast batteries with longer life (rated in milliamp-hours, or mAh) and a higher current output (given as an amperage rating, which can range anywhere from 10A to 35A for higher-end models). Keep these statistics in mind when choosing a battery, especially the latter – the amperage needs to be compatible with the rest of the assembly. The heating mechanism takes the form of a coil of resistance wire with one end making contact with the battery, while the other is allowed contact with the e-liquid via wrapped cotton or a wicking element. This coil heats up as electricity is passed through it, with the heat generated proportional to the coil’s resistance (measured in ohms), in order to vaporize the e-liquid. Replacing the coil and its cotton or wick every so often prevents a burnt taste from creeping in. These elements, together with the e-liquid, are housed in a glass or plastic tank – the whole thing together is called an atomizer. E-cigs don’t usually allow temperature control, so the coil heats up to a specific temperature – often one too high for a good draw! Box mods allow you to adjust the coil temperature to prolong the life of the component and produce better flavor and hits. Additionally, some atomizers allow what’s called sub-ohm vaping – the resistance of the coil is set to less than one ohm, to increase power output on devices with a fixed voltage. This can put extra strain on the electrical components, but it also produces significantly more vapor for exceptionally strong lung hits. 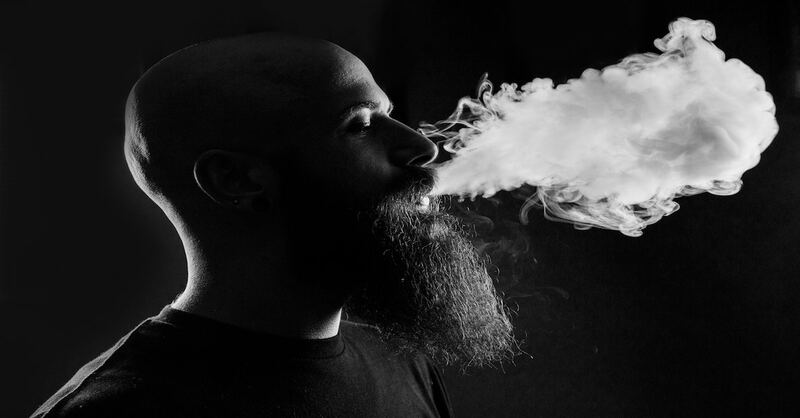 Dripping is a practice among more dedicated vapers that makes use of a hollow mouthpiece called a drip tip. Instead of storing e-liquid in a cartridge, the liquid is poured through the drip tip and directly into the atomizer. This allows finer control over your hits, and many report a cleaner, more consistent vapor. Learning to properly drip can be a bit advanced for new vapers, as proper timing and amount are needed to prevent a harsh, burnt draw or an overflowing atomizer. Perfecting it can give users a richer flavor and higher vapor production, and some like to use it to try out multiple different flavors. Whether you’re picking up your first vape mod or looking to customize with new parts, the Smoking Buddha has everything you need in one spot. Check out our premier inventory, or contact us with any questions you may have regarding our products.